A. E. Ellis was the pseudonym of Derek Lindsay, who was born in 1920. Orphaned at the age of 3, he was brought up by an aunt. 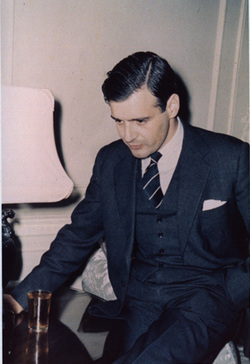 After serving in the Second World War, in which he rose to become a captain, he returned to England and attended Oxford University. 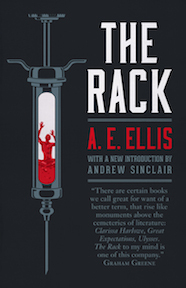 When he was stricken with tuberculosis, Lindsay was sent to a sanatorium in the Alps, where the years of his slow cure would provide the inspiration for his first and only novel, The Rack. This impressive work was published in 1958 to great acclaim from English critics; it went on to be included in the Penguin Modern Classics series and was reprinted several times in paperback. Though he continued to write, including working on a sequel to The Rack, Lindsay never published another book. He died in 2000.